We’ve been enjoying glorious sunny weather in Byron Bay this winter, but brrr. It has been cold! I don’t know about you, but cold weather always makes me want to snack. I’ve been trying to be good. Instead of reaching for something sweet, I’ve been enjoying the satisfying crunch of home made crackers dipped in hummous or topped with avocado. I feel so virtuous! Below is my recipe for easy, healthy home-made crackers, power packed with nutrition and healthy fats for glowing skin. 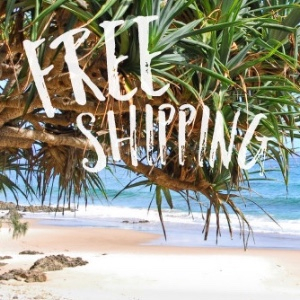 Also, you loved the VIP free shipping offer for our EOFY sale so much we decided to extend it. Scroll down for details. This is my staple cracker recipe. It’s healthy and easy to mix up and roll out (even for a three year old). 2. seeds – eg poppy/sesame/sunflower/flaxseed – if I use pepitas I crush them up a bit so they’re not so big. You can use them raw or toasted. You can use all one type of flour/seed or a mix. I like to mix wholewheat flour 50:50 with buckwheat flour for the extra protein and B vitamins. A mix and match recipe. Give it a go! Step 1. Preheat your oven to 175 degrees Celsius. Step 2. Combine seeds, flour and salt/herbs in a bowl. Step 3. Drizzle in the olive oil, cutting in with a knife until the mixture looks like breadcrumbs, then slowly add water as needed, mixing until you can gather into a ball. Step 4. Roll mixture between 2 sheets of baking paper. Remove the top sheet and score into shapes with a sharp knife. This will help you break them up post-baking once cool enough to touch. Step 5. Bake in a 175 degree Celsius oven for 15 minutes or until golden around the edges. Step 6. Remove from oven and allow to cool. Once cool, break crackers apart along the scoring lines made in step 4. Serve with spreads, dips or salsa. Store in an airtight container for up to two weeks (if they last that long). We received a new shipment of our signature organic cotton pouch and now the very popular Trio Pack is back in the online shop. Watch out for our Father’s Day pack coming up in the next few weeks too. 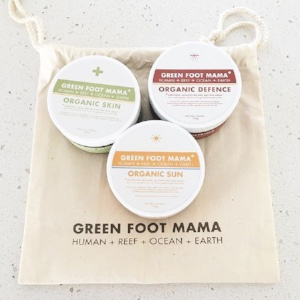 Do you have a question about Green Foot Mama or our 100% natural multi-use moisturising balms? Hit reply and let us know! 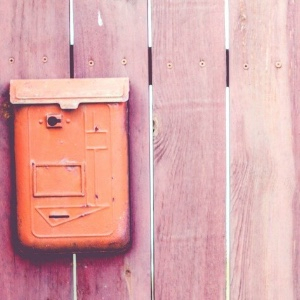 Did you find this newsletter useful? Forward it to a friend!